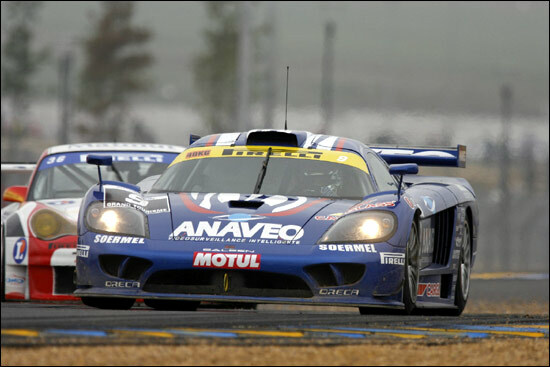 The result only shows one driver's name for each car, but Soheil Ayari did partner Bruno Hernandez at Le Mans this afternoon - to the Anaveo Saleen's sixth win of this FFSA GT season. Hernandez started from the pole, alongside Guino Kenis in the SRT Corvette - which duly finished second, Kenis partnered by Eric Cayrolle. Pertti Kuismanen and Markus Palttala were third, in the PSI Corvette. Full report early next week. The Dupard / Gardel Larbre Ferrari 550 finished three laps down.